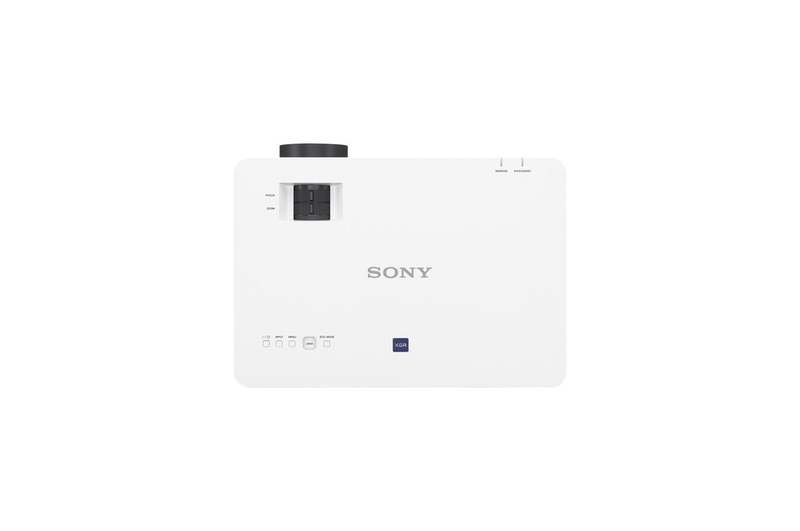 Enjoy enhanced connectivity options with the Sony VPL-EX455 3600-Lumen XGA 3LCD Projector. 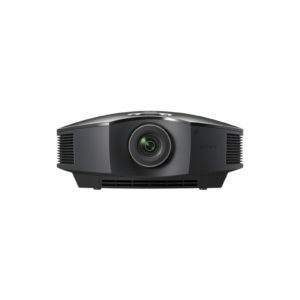 It features 3600 lumens of brightness and a 20,000:1 dynamic contrast ratio for detailed images in rooms with ambient light. 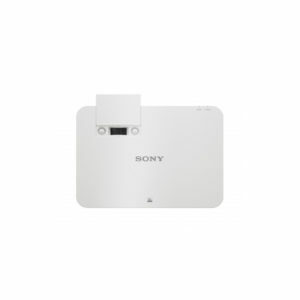 It sports an XGA 1024 x 768 native resolution for clear data at most viewing distances. 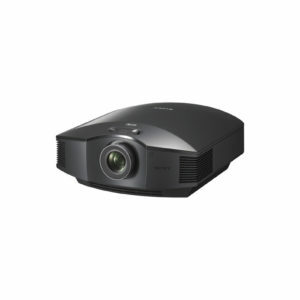 The VPL-EX455 is powered by a 3LCD display system, and its lamp features a life of up to 4000 hours at max brightness. 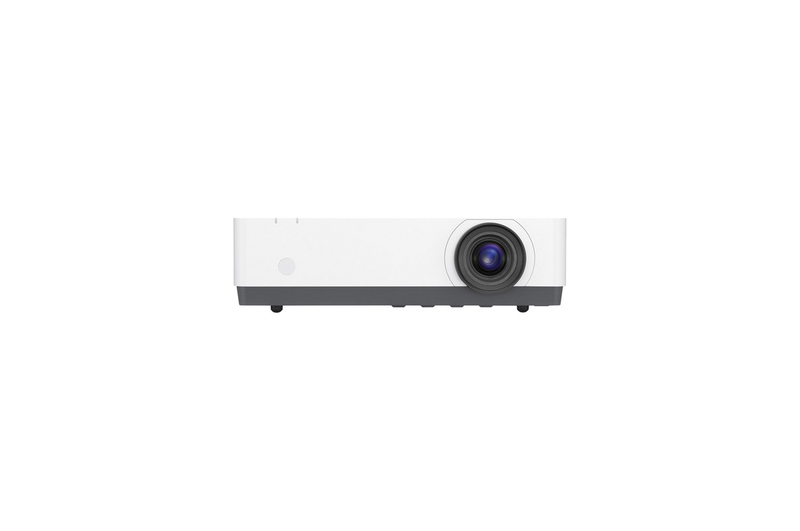 You can use the VPL-EX455 to project up to a 300″ diagonal screen size, making it suitable for large venues. 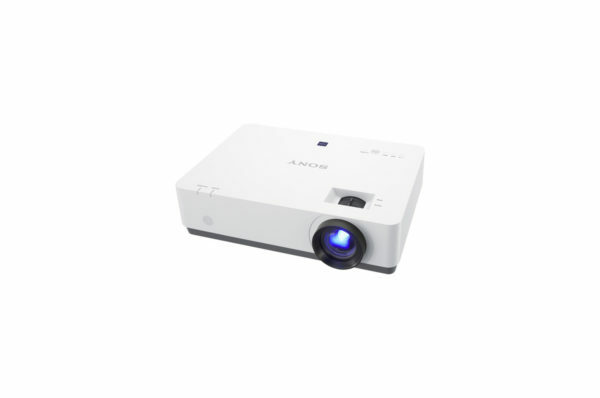 This projector also features a 1.37 to 1.8:1 throw ratio with a native 4:3 aspect ratio. 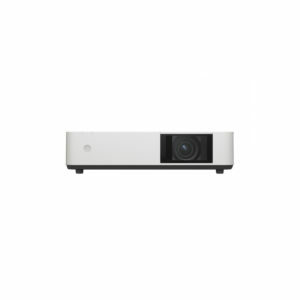 With S-video, composite video, USB Type-A, USB Type-B, two VGA, and two HDMI inputs, this projector is well equipped for external control and source connections. 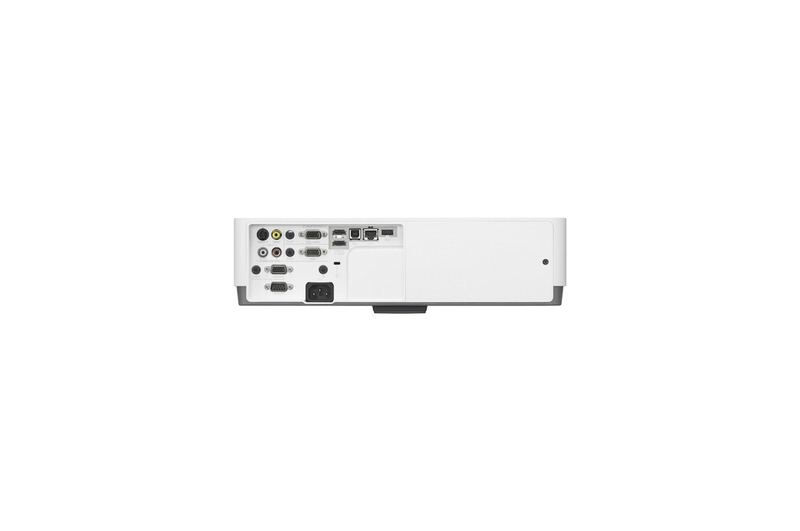 A VGA output shared with one of the VGA inputs enables you to send the video signal to another projector or display. The VPL-EX455 also features an Ethernet port for LAN control. 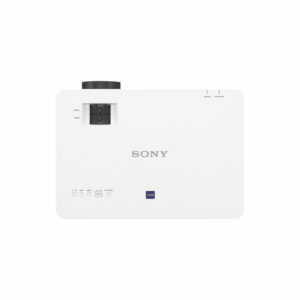 A remote control and a VGA cable are included for instant connectivity. 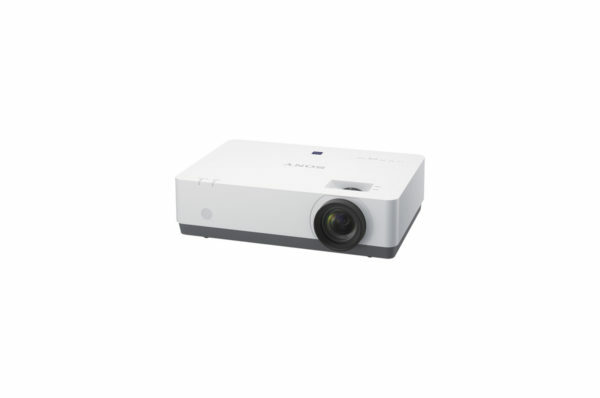 The VPL-EX455 is equipped with a lamp-dimming function, which dims the lamp if the projector is left powered on while not in use. The lamp will dim to as low as 30% of the original brightness level to reduce energy consumption. 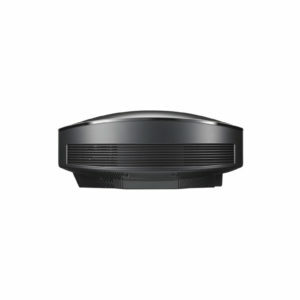 The VPL-EX455 is compatible with Crestron RoomView Connected control and management systems, which provide control capability over an IT network without custom programming or a control processor.